Four ne'er-do-well sons reunite in their Texas hometown to attend their mother's funeral. 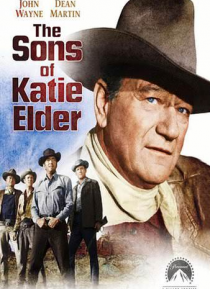 Led by older brothers John (John Wayne), a gunfighter, and Tom (Dean Martin), a gambler, the four soon learn that their father gambled away the family ranch, which was the cause of his murder. The brothers decide to avenge their father's death and win back the ranch, a situation that quickly leads to trouble … with the local sheriff and violent conflict with the rival Hastings clan.